Chennai Super Kings 8-173 (Faf du Plessis 52, MS Dhoni 35, Lasith Malinga 5-32) beat Mumbai Indians 7-167 (Dinesh Karthik 74, Rohit Sharma 32, Ben Hilfenhaus 2-14) by six runs. Chennai Super Kings tasted their first victory in the Champions League Twenty20 vs. the strong Mumbai Indians in a thrilling encounter at Johannesburg. Chennai Super Kings sparkled by trouncing 173 runs for the loss of eight wickets in the measured 20 overs. Dinesh Karthik and Kieron Pollard nearly took Mumbai Indians towards the target but got 167 runs in the end with three wickets left. 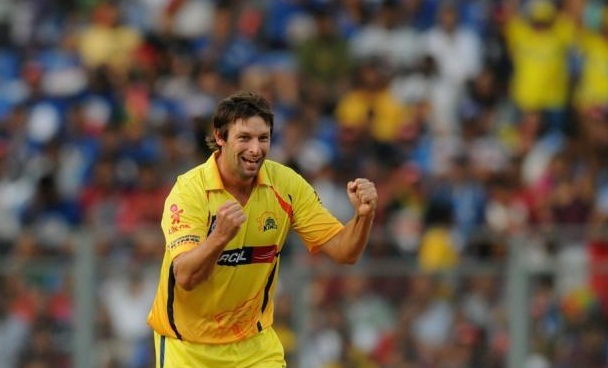 Ben Hilfenhaus (Chennai Super Kings) was declared ‘Player of the match’ for his economical bowling spell of 2-14. Earlier, Harbhajan Singh, the skipper of Mumbai Indians, won the toss and decided to bat later. Chennai Super Kings initiated the innings with Murali Vijay and Faf du Plessis in a commanding way as 10 runs were scored in the first over with a six from Vijay. Faf du Plessis punished Mitchell Johnson for 15 runs in the third over with 1 six and 2 fours and Murali got the exact same result in the next over off Dhawal Kulkarni. The runs kept on flowing from the woods of the two batsmen as du Plessis got another 16 runs in the fifth over with 3 fours. The pair rushed to 86 in just eight overs when Murali Vijay was clean bowled by Pragyan Ojha for 39 off 25 balls with 2 big sixes and 5 fours. Faf du Plessis achieved his 9th T20 fifty on the first ball of the 10th over with a four and the hundred of the innings also appeared on board in that particular over. Lasith Malinga struck twice in the next over by removing du Plessis and Suresh Raina on the consecutive deliveries. Faf du Plessis was caught by Rohit Sharma at long-on for 52 off 33 deliveries with 1 six and 6 fours and Raina scored eight runs. MS Dhoni took charge of the batting as the wickets kept on crumbling from the other end without any resistance. He added 10 runs in the 14th over with 1 six and 1 four and repeated it in the 17th over. 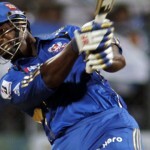 Dhoni was caught by Dwayne Smith off Malinga for 35 off 19 with 2 huge sixes and 3 fours. Chennai Super Kings hammered 173 runs with two wickets in hand at the close of the 20th over. Lasith Malinga demonstrated a heroic bowling spell and grabbed five wickets whereas Pragyan Ojha and Dwayne Smith got one wicket each. Mumbai Indians had a horrifying start by losing their prominent openers, Dwayne Smith and Sachin Tendulkar at just 19 runs in 3.2 overs. Smith was gone for 13 and Tendulkar could score just two runs on the nine balls he faced. The young duo of Rohit Sharma and Dinesh Karthik took the responsibility of stabilising the innings on their shoulders. 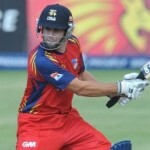 Sharma started the onslaught by hitting three sixes in the next three overs. Karthik did his best in the 11th over by hitting 2 sixes and 1 four to Ravindra Jadeja and the score was enhanced to 85 in 12 overs. The partnership was dislodged when Rohit Sharma was caught by Murali Vijay off Albie Morkel for 32 off 26 balls with 3 lofty sixes and 1 four. Dinesh Karthik stood firm at his end as Ambati Rayudu became the next victim for just one run after the addition of 10 runs to the total. Karthik reached his 10th T20 fifty in the 16th over with 1 six and 1 four as Kieron Pollard associated with him next. The 18th over bowled by Ravichandran Ashwin was eventful as 24 runs were accumulated from it with 3 sixes and 1 four from both batsmen. Dinesh Karthik hit another six on the second ball of the next over but was clean bowled by Ben Hilfenhaus for 74 off mere 45 balls with 6 mighty sixes and 4 fours. Harbhajan Singh was unable to score on the next three deliveries and they required 19 runs to win the match in the last six deliveries. Pollard dispatched a six on the first ball but was caught superbly by Suresh Raina at long-on for 31 off just 17 with 3 giant sixes and 1 four. Mumbai Indians were restricted to 167 with three wickets left when the last ball of the 20th over was bowled. Ben Hilfenhaus, Albie Morkel and Ravindra Jadeja shared the honour of the bowling by getting two wickets each as Faf du Plessis chipped in with one. Chennai Super Kings finally managed to win their first game against their strong opponents, Mumbai Indians, by a narrow margin of six runs. Both Indian IPL teams are unable to reach the semi final spot as Sydney Sixers and the Lions, from Group B, have already confirmed their spots.